All your dental and implant needs can be met. Discover why you should choose dental implants by attending our information evening & personnally meet Dr. Tremblay. 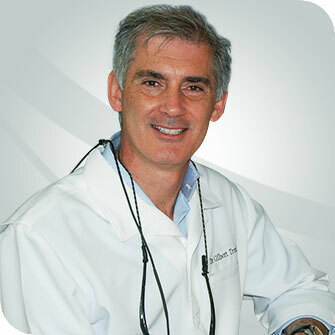 Dr. Tremblay has been practicing dentistry for 25 years with great concern for his patients’ dental health. His private practice focuses on dental rehabilitation and implantology. He is recognized nationally and internationally as a guest speaker at conferences and seminars, and a member of numerous world renowned associations. Dr. Tremblay is also involved in clinical research in the private sector, particularly interested in surgical guide designs and guided surgery protocols. “ At Clinique dentaire Tremblay, our mission is to offer our patients a complete range of dental services. Passionate in their work, our team of dentists and hygienists listen to your concerns to understand and provide treatments that suit your needs, supported by the most advanced technology available today. We have at heart to offer you exceptional treatments of the highest quality, maximizing your dental functionality and long term aesthetics, in order to promote optimal dental health. Dr Gilbert Tremblay, B.Sc., D.M.D. Passionate for his work in advanced implantology and as Founding President of the Quebec Dental Implant Institute, Dr. Tremblay oversees the activities in support of the goals and mission of the Institute, in sharing his clinical knowledge adapted to today’s realities. He shares his knowledge in his exceptional work as mentor among his colleagues in the dental field, and in the complex treatments of implantology and cosmetic dentistry.